Washington County Juvenile Department oversees art education program for at-risk youth. Washington County Juvenile Department and Hillsboro's M&M Marketplace have teamed up for a community art project for at-risk youth. Juvenile Counselor Bernardino De La Torre worked with Jaime Miranda, the owner of the store to have the youth's artwork be featured in the marketplace, located at 346 S.W. Walnut St. 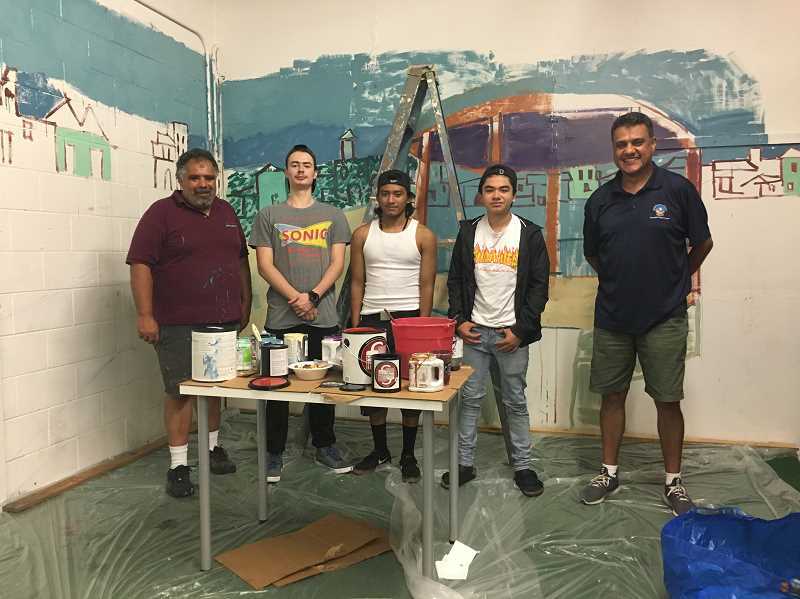 The art project was a part of a six week program aimed at addressing graffiti prevention in the county and providing opportunities for art education. The completed work was unveiled Sunday, Sept. 16, with a celebration. Professional muralist Hampton Rodriguez taught classes to participants and coached the youth on their work in Miranda's shop. He owns Bohio Studio in Portland and has showcased his work all around the world. "We had a performance stage that needed a colorful and interesting backdrop and the youth needed a place to express their art," Miranda said. "It was a pleasure to partner with the Juvenile Department to help create positive experiences for the youth in the community." De La Torre said the department hopes to do this again in the future and look for more community partnerships to encourage positive behavior.